Star Wars the Force Awakens is Coming! Today only! 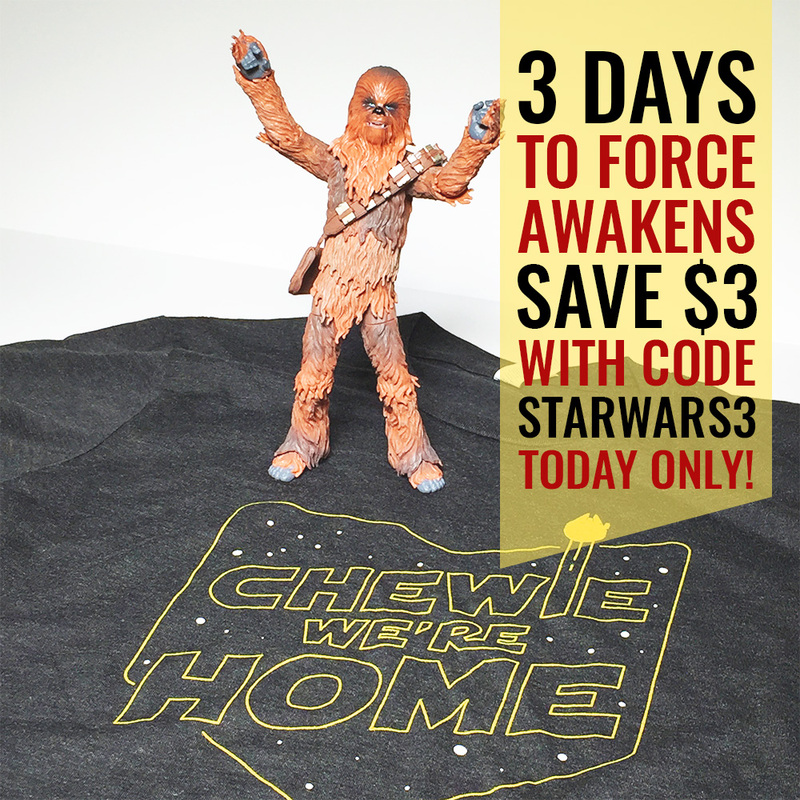 Save $3 off our Chewie We’re Home Shirts with code STARWARS3! 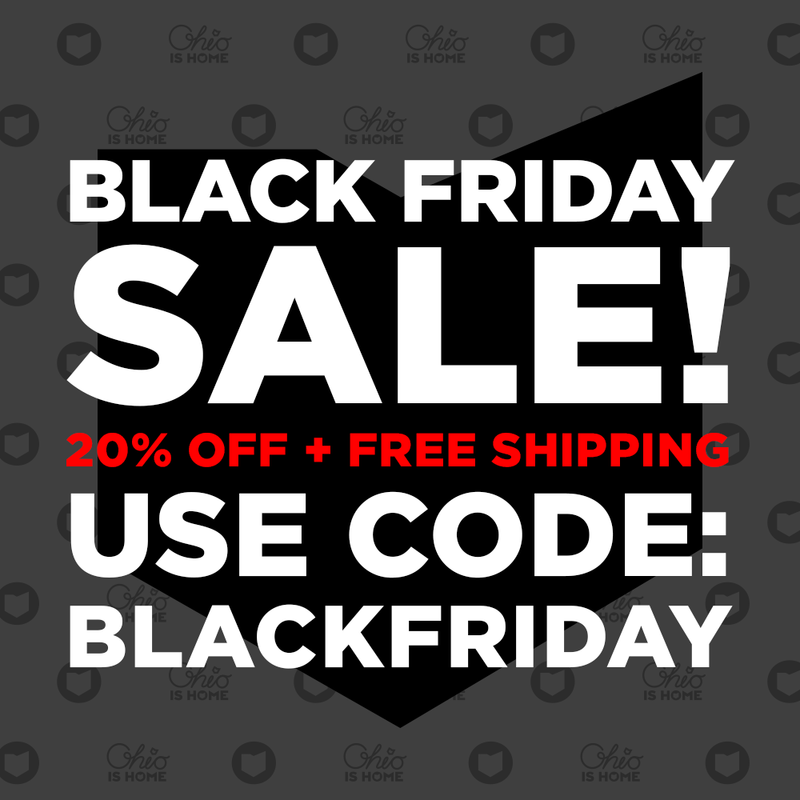 As a way of saying thanks we are offering 20% off your order + free shipping with code: BLACKFRIDAY. 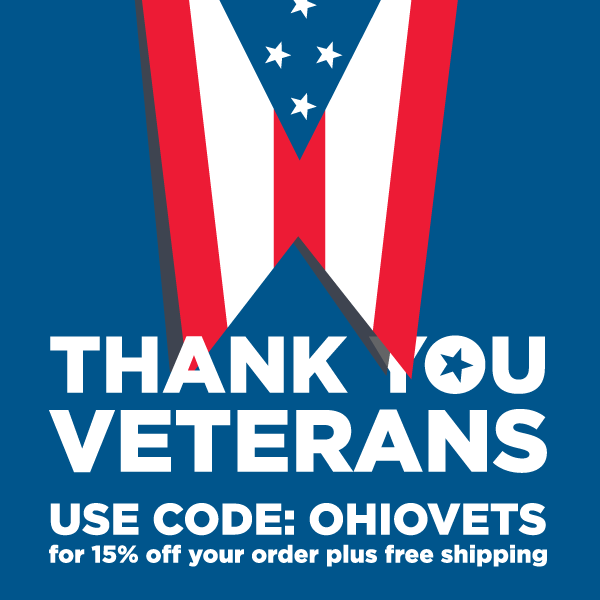 Code can be entered at checkout! Have a safe and happy Thanksgiving weekend! Lots of new Star Wars Force Awakens footage in the Japan trailer. 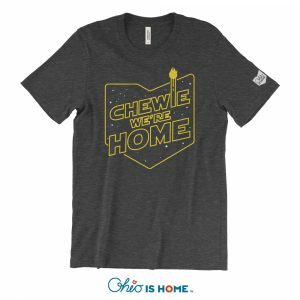 Don’t forget to check out our Chewie We’re Home Tshirts as well! 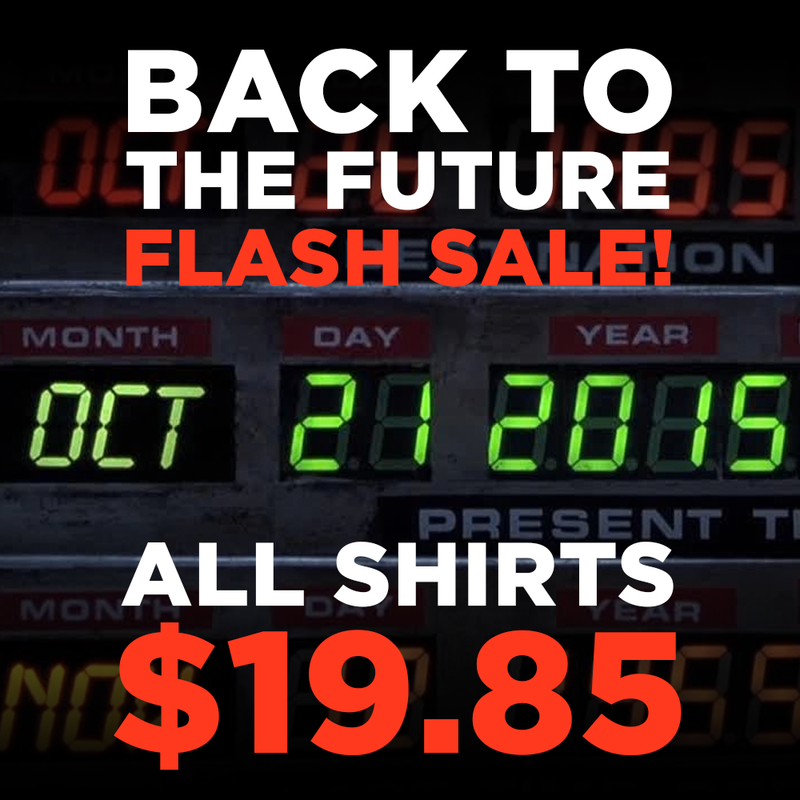 In honor of finally making it Back to The Future, all our shirts are on sale for $19.85! TODAY ONLY! 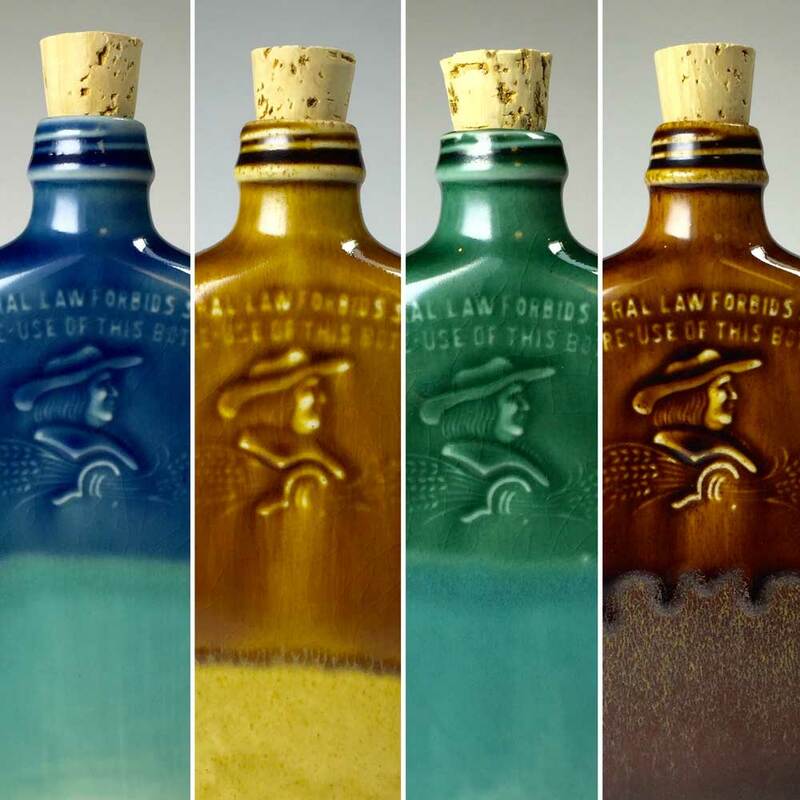 Ohio Prohibition Flasks are NOW FOR SALE! 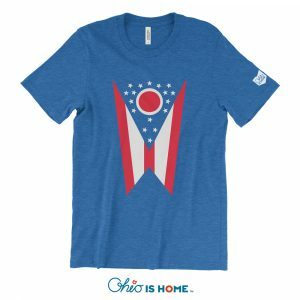 Buy 2 get 1 free shirt sale! Labor Day only! 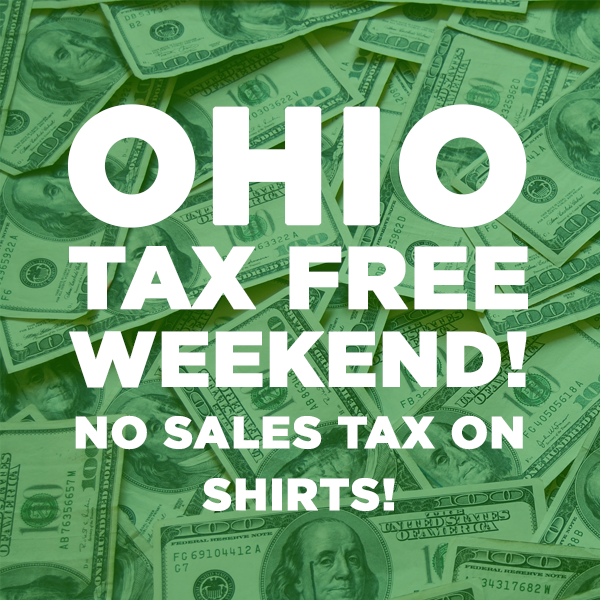 Buy 2 shirts get 1 free! No coupon required! Offer ends tonight at 11:59PM! So act fast!!! Visit us at the Ohio Stern Wheel Festival! 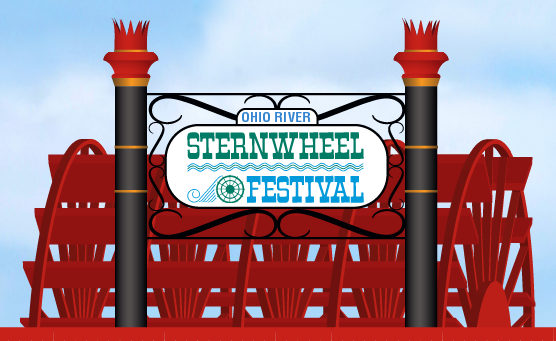 Join us the weekend of September 11th for the Ohio Stern Wheel Festival in Marietta Ohio! This will be a great show and we will have lots of sales and new products! You won’t want to miss it! Everyone needs a break right? So we are taking ours next week! No orders will be shipping next week sadly. As soon as we are back to the grind the second week of August, orders will be shipping out! Thank you so much for your support and have a great week!